On March 8, 1864, the state’s first African American regiment, the Connecticut Twenty-Ninth (Colored) Regiment, C.V. Infantry, mustered into service to fight for the Union’s cause in the Civil War. Almost a year earlier, on January 1, 1863, President Abraham Lincoln had issued an executive order, the Emancipation Proclamation, which freed the slaves in the 10 states still in rebellion. 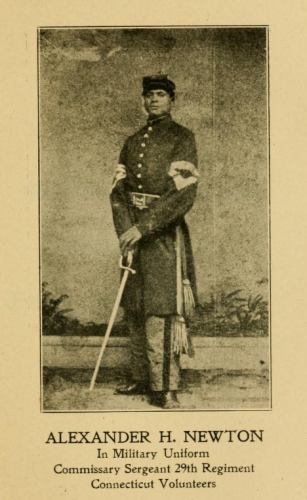 The recruitment of African American regiments began immediately afterwards, with Connecticut enlisting its first recruit in August. The official call for “Colored Volunteers” came the following November under Connecticut Adjutant General Orders No. 17. Most of the men joined the regiment in the last three months of the year when the volunteers were encamped in the Fair Haven section of New Haven. By January 1864, more than 1,200 men had enlisted and the regiment had met the quota for the number of recruits necessary to form a regiment. “Muster Roll of Captain James C. Sweetland, Company a, of the Twenty-Ninth Regiment of Conn. Infantry Vols. (Colored), 1864.” United States. Army. 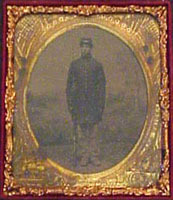 Connecticut Infantry Regiment, 29th (1864-1865), 1864. Connecticut History Online, Connecticut Historical Society. Link. War Department, Adjutant General’s Office. “War Department General Order 143: Creation of the U.S. Colored Troops (1863),” 1863. National Archives. Link.